Date: 22.04.2018 | House, Club, Disco | Tags: Deep House Top 1000, Armada Digital, Armada Music, Samuele Sartini, Amanda Wilson, Armin Van Buuren, Josh Cumbee, Jus Jack, Stonebridge, Therese | Download Deep House Top 1000 Vol. 1 (2018) for free. 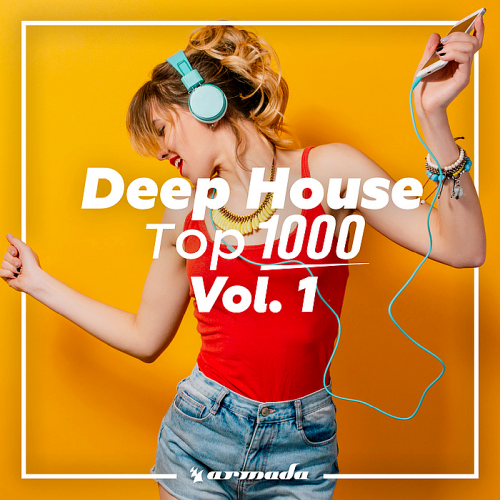 On the back of coloring the music world with its upbeat rhythms and breezy vibes through its popular Spotify playlist, Deep House Top 1000 finally welcomes the first volume of its compilation spin-off. Harboring a grand total of thirty tracks from world-renowned tastemakers such as Afrojack, Alok, Armin van Buuren, Lost Frequencies, Loud Luxury, Nicoles Haelg, Patrick Baker, Sebastien, Stonebridge, Sultan + Shepard and more, Deep House Top 1000 is ready to stake its claim as a top favorite for countless dance music fans. A unique publication Armada Digital of club music worthy and very famous producers and performers of our modernity!